The charming seaside town of St Ives is one of the most enjoyable destinations for a holiday in England. Whether you are interested in relaxing on the beach, learning how to surf, exploring the town's art galleries or dining on classic British cuisine, a trip to St Ives will undoubtedly be a wonderful experience. If you are planning an upcoming trip to St Ives, use this guide to learn more about the top attractions, where to dine, the best beaches and tips for travellers. St Ives is not typically chosen as a holiday destination because of its shopping opportunities or fine dining, although it does have plenty of both. Instead, visitors decide to explore this incredible area thanks to its breathtaking seaside scenery, inviting beaches and coastal walks. Carbis Bay has a sandy inlet perfect for sunbathing, but the more adventurous can also try boating or surfing. Porthmeor Beach is popular with families because of its proximity to town, and it also boasts some great breaks for surf enthusiasts. At Porthminster Beach, visitors can take in great views of the Godrevy Lighthouse, and they can also walk there directly from the nearby railway station. Another of the great ways to pass the time in St Ives is to explore the great cultural attractions in the area. The highlight, without a doubt, is the Tate St Ives. This impressive gallery and museum is an outpost of the famous London Tate Modern, and it boasts an impressive collection of works by artists from Cornwall and the surrounding regions. Your ticket to the Tate St Ives will also include admission to the nearby Barbara Hepworth Museum and Sculpture Garden, which has an amazing collection of sculptures made from several different mediums. While you can enjoy all of those foods in St Ives, there is more on offer. Try vegetarian cuisine at the The Bean Inn, the unbeatable fresh seafood from the Ocean Grill or the gourmet burgers from Blas Burgerworks. 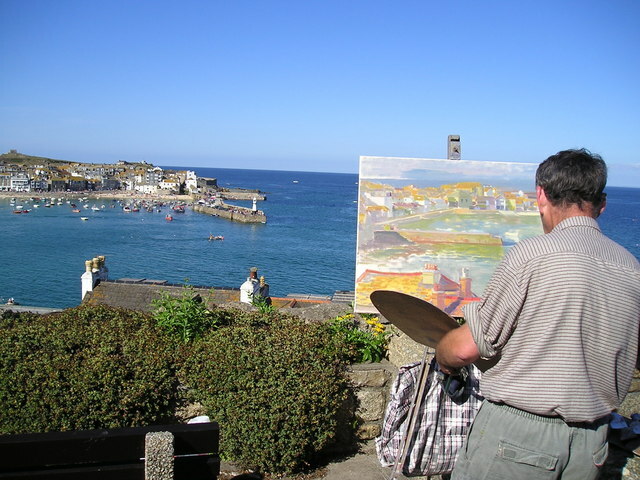 St Ives is located in the county of Cornwall, and most travelers from around the United Kingdom arrive by car. However, it is also possible to take a train directly from London's Paddington station to Penzance, which is just a few miles from St Ives. Getting from Penzance to St Ives is simple, and there are taxis, buses and local trains that all make the journey. Since traffic can be problematic during the busiest summer days in St Ives, the best way to get around town is simply on foot. Thankfully, there are plenty of affordable parking spots if you do have your vehicle with you. Travellers in St Ives will be able to have a wonderful trip thanks to the amazing scenery, great beaches and excellent attractions. Tom writes for The Cottage Boutique, who advertise a selection of handpicked boutique cottages in Cornwall. Pet owners, if your looking fo dog friendly cottages in St Ives be sure to check out our list of four legged friendly cottages.